Climate Justice Action Assembly - GroenFront! 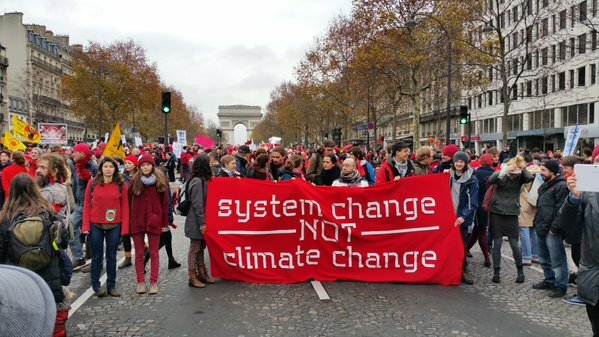 In the follow up of the mobilisations around the UN climate summit in Paris (COP21) we are calling for a ‘Climate Justice Action Assembly’ on Saturday 16th of January. The idea of this gathering is to co-create an open grass-roots meeting to reflect on the state of the (Dutch) climate justice movement post-COP21 and refine our strategy and action plans for the coming months. Besides participating in the Ende Gelande 2016, what should be our next steps? A Climate Games 2016? A Climate Camp? Mass civil disobedience? Should we target the Groningen gas extraction or the coal port and the Nuon coal fired power station in the Amsterdam harbor? All of the above? Or do you have creative ideas of a different kind? Let’s discuss and decide together. Because regardless of the outcomes of the Paris climate talks, we know we have to continue building this movement. After all, nobody is going to protect the climate for us —we are the ones we have been waiting for!